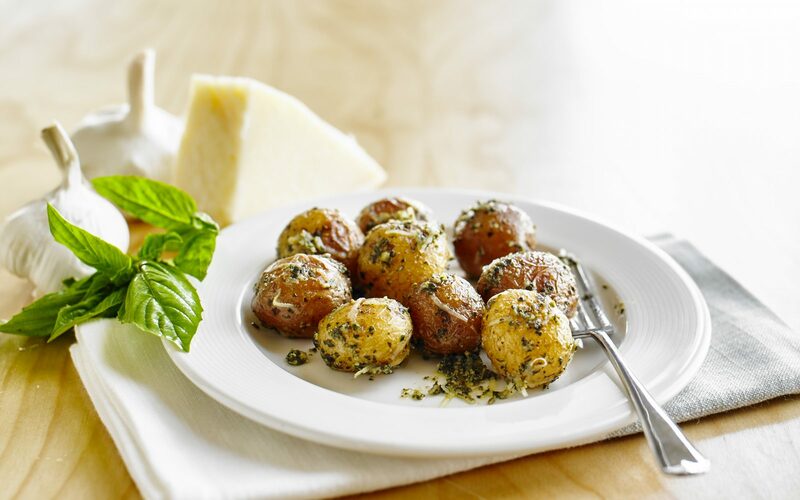 The Parmesan and pesto sauce elevate these roasted Creamer potatoes to a new taste dimension! Blend four tablespoons olive oil, basil, shallots, and garlic in processor until smooth. Season basil sauce to taste with salt and pepper. (Can be made eight hours ahead. Cover and refrigerate). Preheat oven to 400°F. Spray large baking sheet with nonstick spray. 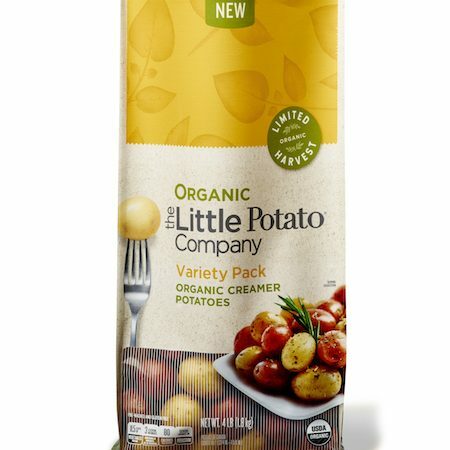 Toss all Creamer potatoes with four tablespoons olive oil, salt, and pepper in large bowl to coat. Transfer to prepared baking sheet. Roast potatoes until almost tender, about 35 minutes. Pour basil sauce over potatoes and toss to coat. Continue roasting potatoes until golden brown and tender when pierced with skewer, about 20 minutes longer. 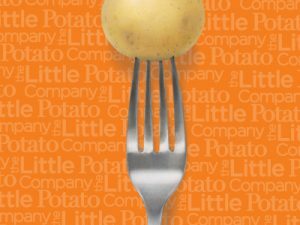 Transfer potatoes to serving bowl. Add cheese and toss to coat.